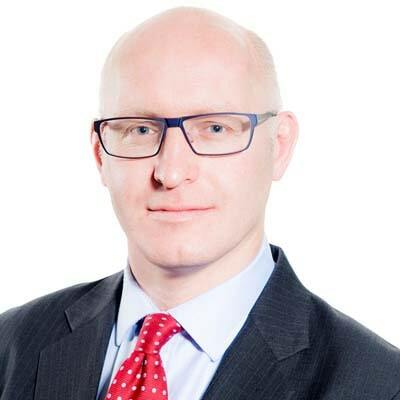 James specialises in domestic and cross border disputes in the banking and financial services sectors, together with fraud and asset tracing, contentious trusts and regulatory enforcement work. James has been involved in numerous high profile matters before domestic and international courts and arbitral bodies. He has also represented clients involved in investigations and enforcement action undertaken by domestic and international regulators and enforcement agencies. His clients include governments, financial institutions and corporates. Acting for the Federal Republic of Brazil in relation to the successful recovery of assets stemming from alleged corruption of Paulo Maluf, the former mayor of Sao Paulo, including proceedings in the Royal Court of Jersey and associated appeals to the Privy Council. Acting for an international trust and corporate services provider in its defence of a £75 million negligence claim pursued by the liquidators of an associated SPV. Acting for JPMorgan Chase Bank in a successful action to enforce a letter of credit issued as security for a structured finance transaction entered into by the Claimants and a subsidiary of Enron. Acting for ANZ Banking Group Ltd in relation to the collapse of the Opes Prime securities lending business, coordinating ANZ's defence and response to numerous claims and regulatory enquiries. Acting for British Airways in the European Commission and OFT investigations into alleged cartel activity in the provision of air freight services and the imposition of long-haul passenger surcharges. Advising banks, corporates and individuals in respect of investigations by the SFO, FCA and other international and domestic regulators and enforcement agencies. Advising current and former bank employees in relation to LIBOR, FX and other issues, including associated Department of Justice, FCA and SFO investigations. 27 mars 2018 The Basics: Negotiating a contract? Misrepresentation or just exaggeration? 08 mars 2018 How wide is your settlement agreement?